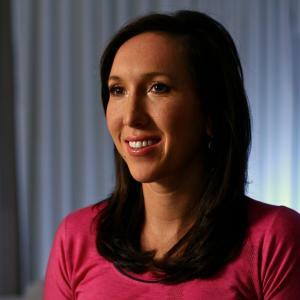 Jelena Jankovic was born on the 28th February 1985, in Belgrade, (then) Socialist Federal Republic of Yugoslavia, and is a professional tennis player, who was the No. 1 on the WTA for seventeen consecutive weeks during 2008 to 2009, and was also junior No. 1 in the world. She has 15 WTA titles to date, reached the finals of the US Open in 2008, and won the 2007 Wimbledon Mixed Doubles title with Jamie Murray. Her career started in 2001. Have you ever wondered how rich Jelena Jankovic is, as of early 2017? According to authoritative sources, it has been estimated that Jankovic’s net worth is as high as $15 million, earned largely through her successful tennis career. In addition to her prize money of over $18 million, Jankovic has made a lot of money thanks to her sponsorship deals with such as Reebok, Anta and Fila. Jelena Jankovic was a daughter and third child of Veselin and Snežana, who were both economists. She grew up in Belgrade with her two brothers Marko and Stefan, and was introduced to tennis when she was nine years old. Despite getting into Megatrend University in Belgrade to study economics, Jelena decided to pursue a tennis career, with the guidance of her brother and fitness coach, Marko. Jankovic won the Australian Open as a junior in 2001 and reached the No. 1 place before debuting on the senior WTA Tour in Indian Wells that same year. In October 2003, Jelena entered the WTA top 100 for the first time, thanks to winning her first ITF title in Dubai. In May 2004, Jankovic won her first WTA title at the Budapest Grand Prix, Hungary in straight sets against Martina Suchá. She ended the 2004 season ranked in 28th place. She reached four finals between 2005 and 2006 but failed to win one, however, in January 2007, Jelena defeated Vera Zvonareva in three sets to claim the ASB Classic in Auckland, New Zealand, which increased her net worth by a large margin. By the end of 2007, Jankovic had played in seven more finals, winning three of them – the Family Circle Cup, Charleston, United States, Internazionali BNL d’Italia, Rome, Italy, and Aegon Classic, Birmingham, United Kingdom. She finished the year as the No. 3 ranked player in the world. In May 2008, Jelena defended her title at the Internazionali BNL d’Italia, Rome, Italy in straight sets against Alize Cornet, while at the US Open that year, she reached the finals but lost to Serena Williams. 4-6, 5-7. Still, Jankovic won her next three finals in the row: the China Open, defeating Svetlana Kuznetsova, Porsche Tennis Grand Prix, Stuttgart, Germany with a win over Nadia Petrova, and the Kremlin Cup, Moscow, Russia, where she was once again beat Nadia Petrova. Jelena ended the year as the world’s No.1 and remained at the top for seventeen weeks until Serena Williams overtook her in the early February 2009. In April 2009, Jankovic won the title at the Andalucia Tennis Experience, Marbella, Spain against Carla Suárez Navarro, and then claimed the Masters Series title at Western & Southern Open, Cincinnati, United States, defeating Dinara Safina. She won another ATP 500 title in 2010, this time beating Caroline Wozniacki at the BNP Paribas Open, Indian Wells, US, but then failed to win another tournament until 2013 at Copa Colsanitas, Bogotá, Colombia. In October 2013, Jankovic lost in the China Open final to Serena Williams, while in March 2015, she was defeated by Simona Halep at the BNP Paribas Open, Indian Wells, US. Jelena did win two titles in 2015: the Guangzhou International Women’s Open, China, and Hong Kong Tennis Open, which is her latest title. Most recently, she reached the finals at the Guangzhou International Women’s Open, China in September 2016, but lost to Lesia Tsurenko. She is currently No. 39 on the WTA Tour. Regarding her personal life, Jelena Jankovic apparently remains single, doesn’t have children, and resides in Dubai, United Arab Emirates. In December 2007, Jankovic became a UNICEF National Ambassador for Serbia. 2 Speaks Serbian, English and French. 3 She admires Monica Seles the most of all tennis players. 4 She is currently wearing the clothes of Chinese sports brand "ANTA", after being promoted by Reebok. 5 On December 5, 2007, Jankovic became the UNICEF Goodwill Ambassador for Serbia, alongside Ana Ivanovic, Aleksandar Djordjevic and Emir Kusturica. 6 Since the 2008 Summer Olympics, Jankovic has been dating Montenegrin waterpolo player Mladjan Janovic. 7 "Jelenin svet" is a documentary about her life, which features Jankovic and notable players such as Justine Henin, Svetlana Kuznetsova and Ana Ivanovic. 8 She is a current student of Megatrend University in Belgrade, studying economics. 9 Jankovic was born to Veselin and Snezana Jankovic, and has two brothers, Marko and Stefan.